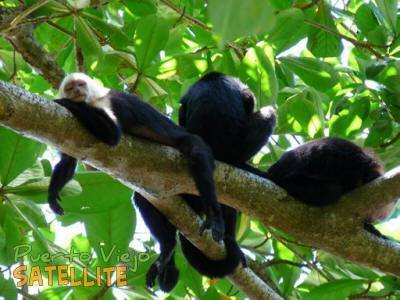 Your whole trip to Puerto Viejo and Costa Rica planned! Esa página está disponible también en español. The Jaguar Rescue Center now also offers hostel beds and rooms, both as options for volunteer housing and for those that would just like to stay near the rescue center. Facilities include wifi and shared kitchen. You may upload a photo from your hard drive to accompany your comment if you like. Your photo will be automatically resized but to upload must be no more than 6MB. Due to a problem with spam, your comment will not appear until it has been approved. Caribe Shuttle We take you there! Caribe Fun Tours Relax, enjoy, unwind! Puerto Viejo Satellite is the most complete and up to date information source for Costa Rica's South Caribbean coast from Cahuita to Manzanillo. We do our best to keep all the information on this website current but this is a community based effort that only works if everyone lets us know about changes, additions and errors so please contact us if you have information to improve the site! Huge thanks to the many contributors who have helped! There's more info about the site here. © Doh Media 2007-2019. All rights reserved.